When it’s cold outside, the last thing you want to do is go riding without a pair of warm gloves. 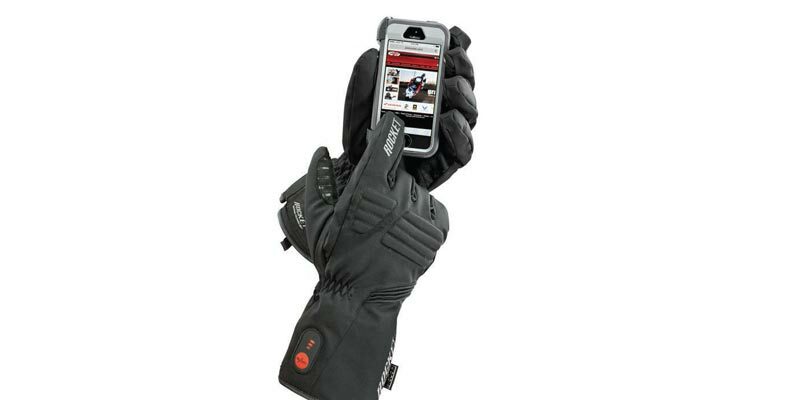 To solve that problem, check out the new Burner heated glove by Joe Rocket. It has a stainless core heating system with a three-stage heat setting and up to a four-hour capacity with the two included lithium-ion rechargeable batteries. Put that together with a heavy-duty nylon outer shell, synthetic suede palm and waterproof/windproof/breathable HiPora liner and you’ve got a winning combination. Feeling casual? Take a load o with a denim button-up shirt by Wing Stu . It has a front left chest pocket, plus a custom embroidered Gold Wing logo to ensure that everyone knows what brand you’re riding. It’s also an officially licensed product and it’s made of 100 percent high-quality denim, so it’ll last. Oh, and it comes in sizes up to 4XL, too. Casual gear with quality materials is always win-win in our book. 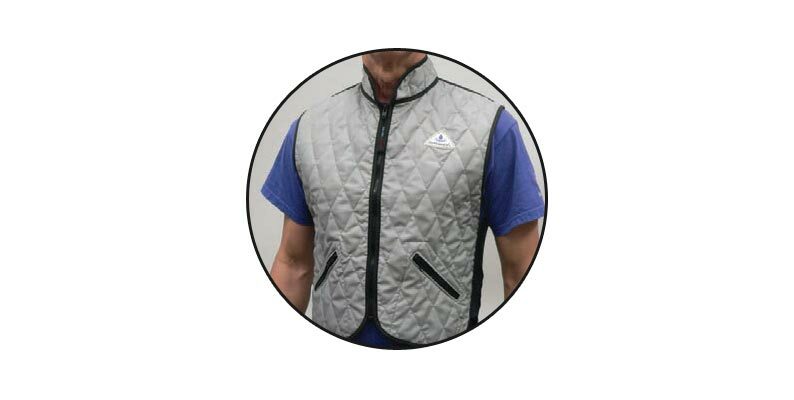 Available in sizes from small to 3XL, the HyperKewl Cooling Sport Vest will chill you out next summer. It’s a V-neck design with a zipper, and works for a wide range of people and uses. It also provides five to 10 hours of cooling relief per soaking, and is still lightweight and durable. If you don’t buy or receive one this holiday season, make sure you nab one before the warm weather hits, otherwise you might be sweating out your next ride. Many Wingers declare that you can never have too many lights, and this Under Trunk Lightbar not only adds some extra shine to your ride, but also can function as run-brake lights, combining safety and style into one package. Oh, and did we mention that it’s chrome, too? 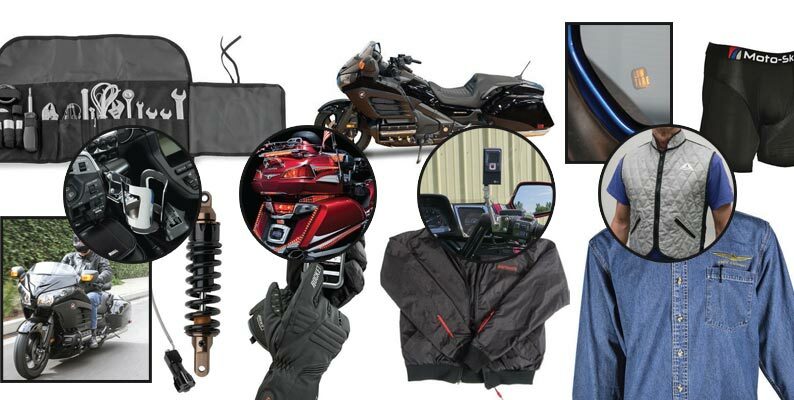 When you can keep your ride safer while looking good in the process, you have all your bases covered. 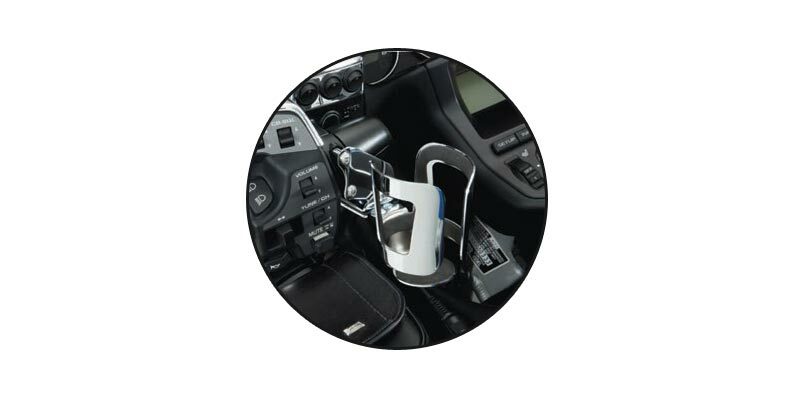 Keep your refreshments within arm’s reach with these cup holders for both drivers and passengers by Big Bike Parts. Available for both the Gold Wing and Can-Am Spyder, these mounts are made from steel with a Show Chrome Accessories finish. They’re secured by a set screw and don’t have any plastic at all, so you know it will last. Now both you and your passenger can stay hydrated while on your next long haul. If you want to complement the luxurious look and feel of your F6B, Mustang Seats has your seat. It’s 17-inches wide and positions the rider one inch lower than stock, plus you’re pushed back farther into the bike rather than perched up on top. The stepped seat also oers a full eight inches of all-day back support. The Fastback Deluxe has a tuck-and-roll center for only $20 more. You know what can stop you from going on a long ride? Chafing. 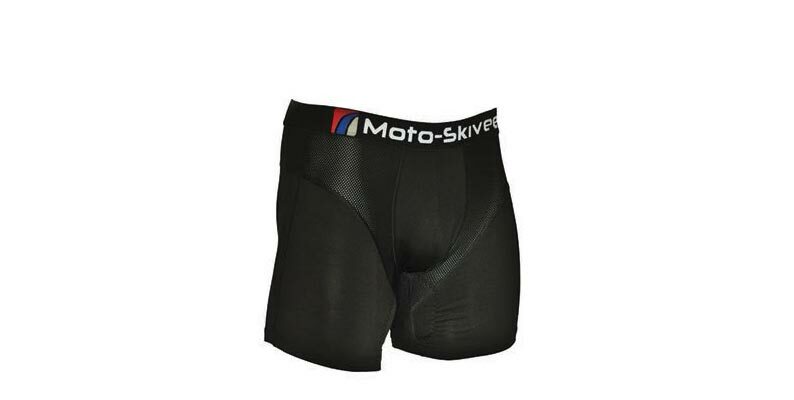 And the Moto-Skiveez are designed to improve your comfort while riding. They sit right on the skin, just like traditional briefs, but come with a proprietary combination of thermo and pressure sensing technologies. Take your comfort to the next level by customizing yourself and not your Wing for a smoother ride. Having a mechanical failure on a trip can be a bummer, particularly if it only requires a tool or two to make a simple tweak. 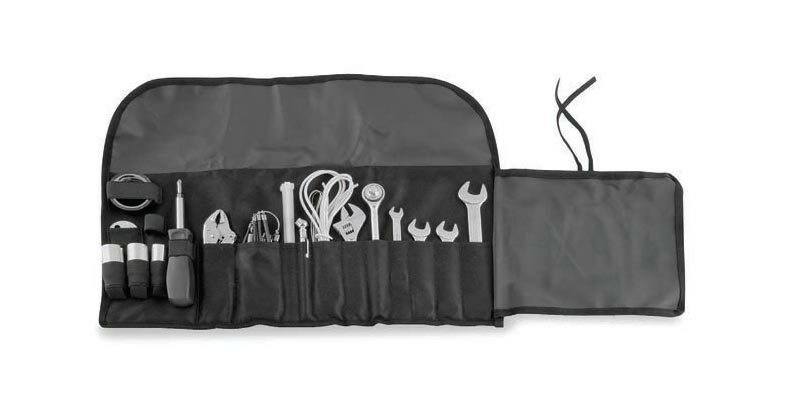 This BikeMaster 17-piece tool kit includes multiple open-ended wrenches, a 10mm combination wrench, 3/8-inch ratchet wrench, locking pliers, 6-in-1 screwdriver, tire gauge and almost any other tool you could use while sitting on the side of the road. Plus, it rolls up into a compact form for easy stowing in your saddlebag. 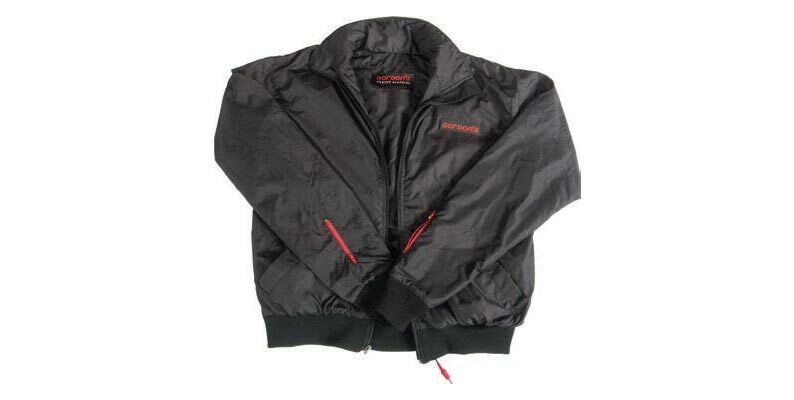 Keep yourself warm this winter with Gordon’s Jacket Liner. It uses heated pads based on modern carbon fiber technology on the chest, back, collar and sleeves to surround you in warmth. It has a soft nylon shell, inside and outside pockets, plus glove plug pockets on the sleeves to secure the plugs when not in use. 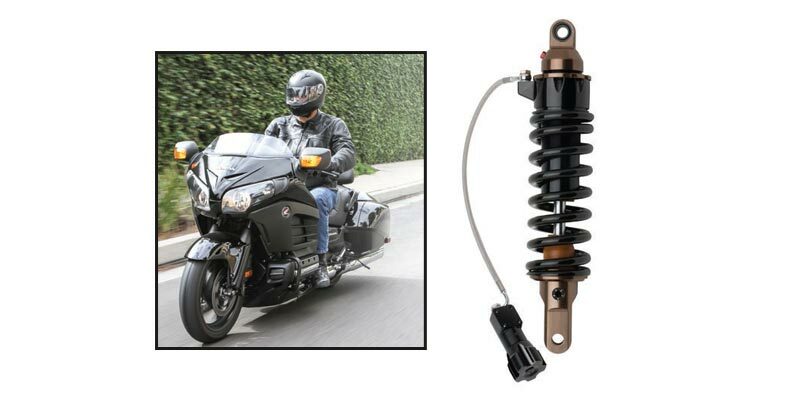 Suspension tuning can dramatically improve ride quality, handling and the comfort of your motorcycle, and the more tools available to work with, the better the results. With that in mind, Progressive Suspension has tuned its 465 Series Monoshock to complement Honda’s F6B chassis. Remote adjustable preload(RAP) and a fi ve-position rebound adjuster expand the already extended tuning range of a threaded preload adjuster. The end result is a suspension system that can be set up to perfectly match your bike, weight and riding style. 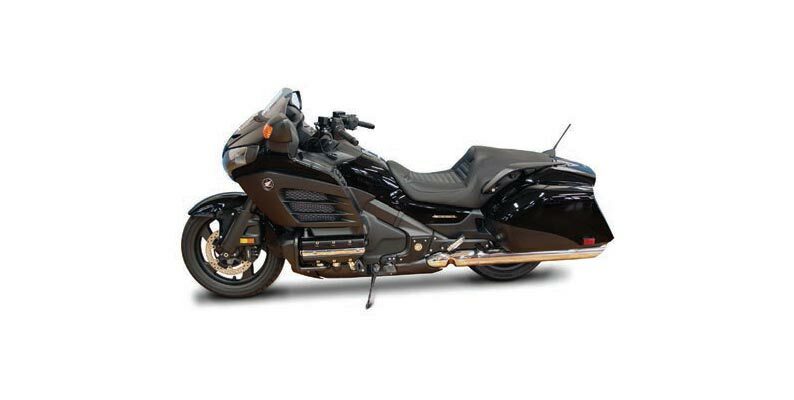 Stock and lowered versions for 2013-14 Honda Gold Wing F6B. 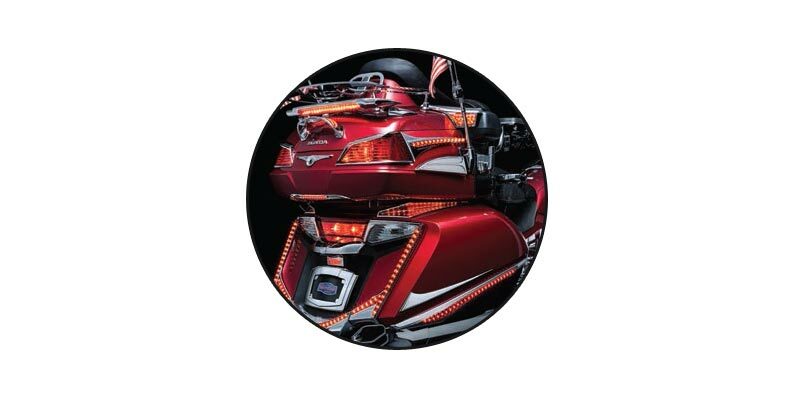 $209 for a pair of Signal® Mirrors with a low tire display. 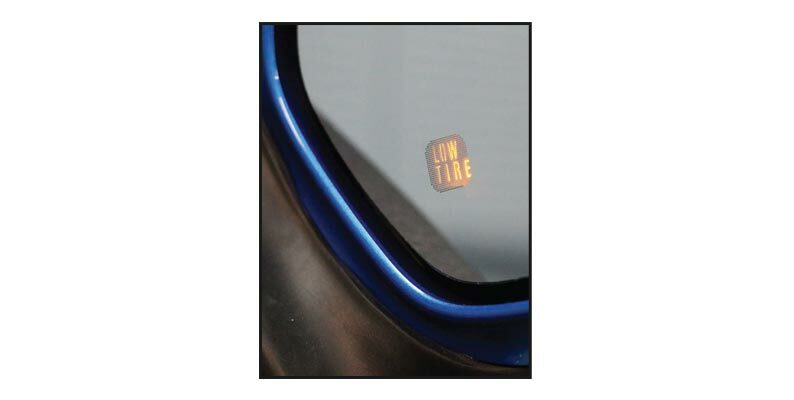 Keeping your tires properly inflated is critical to the safety of you and your passengers, and Muth Mirror Systems and Doran Manufacturing have now released a mirror kit with an LED display that indicates “Low Tire,” as well as including integrated turn signals. 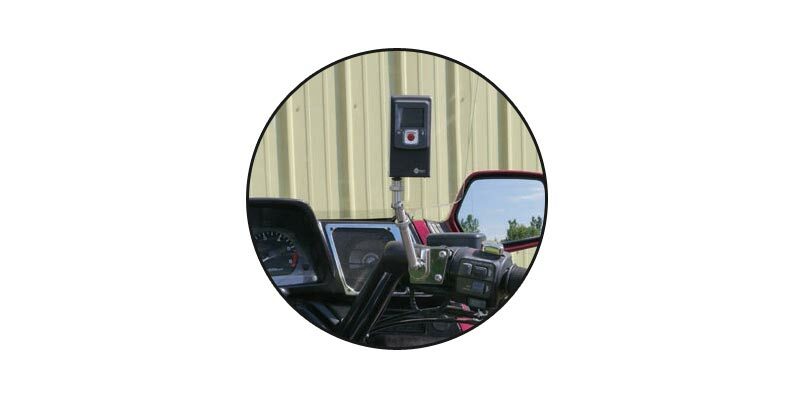 By tapping into the built-in remote warning light adapter port on the Doran 360M TPMS monitor, you can connect the two systems together, giving you an alert if your tire dips in pressure. Now that’s a warning system we can get behind. Posted 11/07/2014 by wing & filed under Gear.